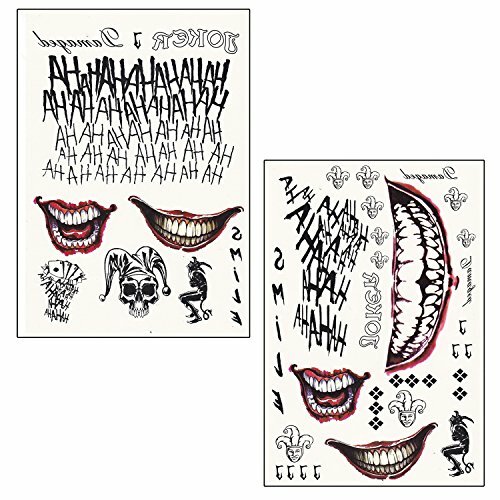 Complete your joker costume with this temporary tattoo set. Perfect for Halloween. 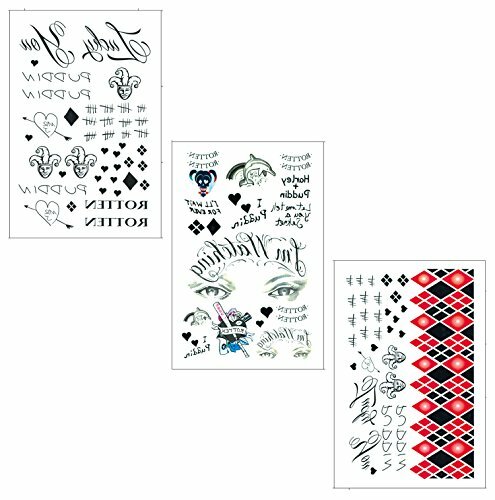 Complete your SS Joker Costume with these face and hand temporary tattoos! 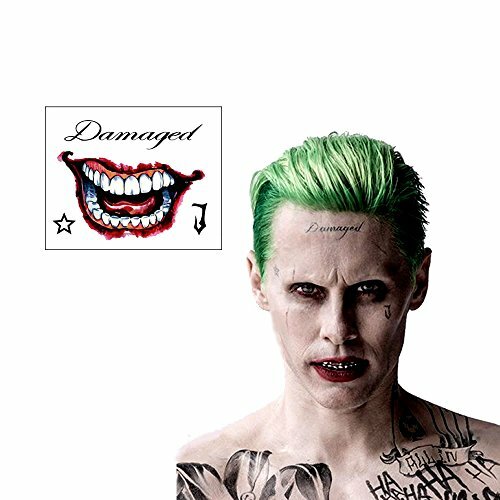 Joker's face "Damaged," "J," and Star tattoos. Waterproof and long lasting, easy to apply and remove! 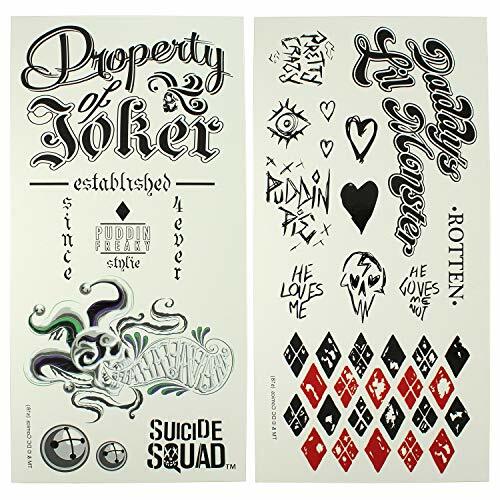 DC Comics Suicide Squad Harley Quinn and Joker temporary tattoos set. Perfect to complete the look. 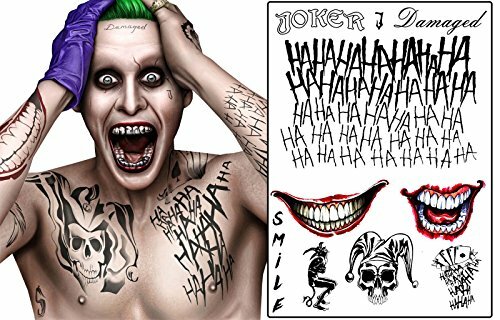 Best Joker Tattoos For Men The Joker is one of the most iconic villains of the comic world, and he has been represented in some exceptionally jarring and provocative works. Heath Ledger instantly pops into mind for many people who claim he played the definitive Joker, but Mark Hamill’s interpretation from the animated DC universe might be the most well-known example. 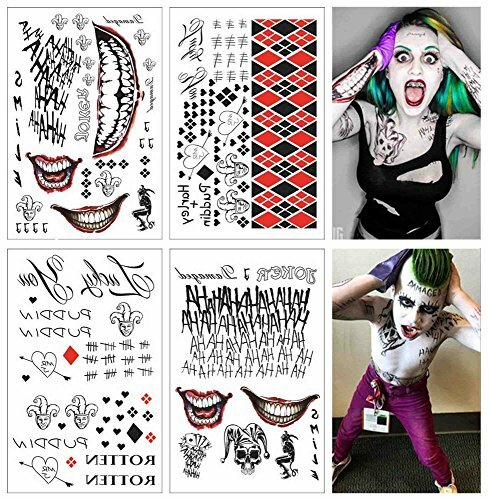 He is singularly crazy and ingenious, and his antics have been labeled hilarious to homicidal.